The most popular size for address stamps with up to 6 lines of text. A popular size for address stamps. The size is 57 x 20 mm with up to 6 lines of text or logo. The ink is contained within the stamp assembly so no separate ink pad is required. 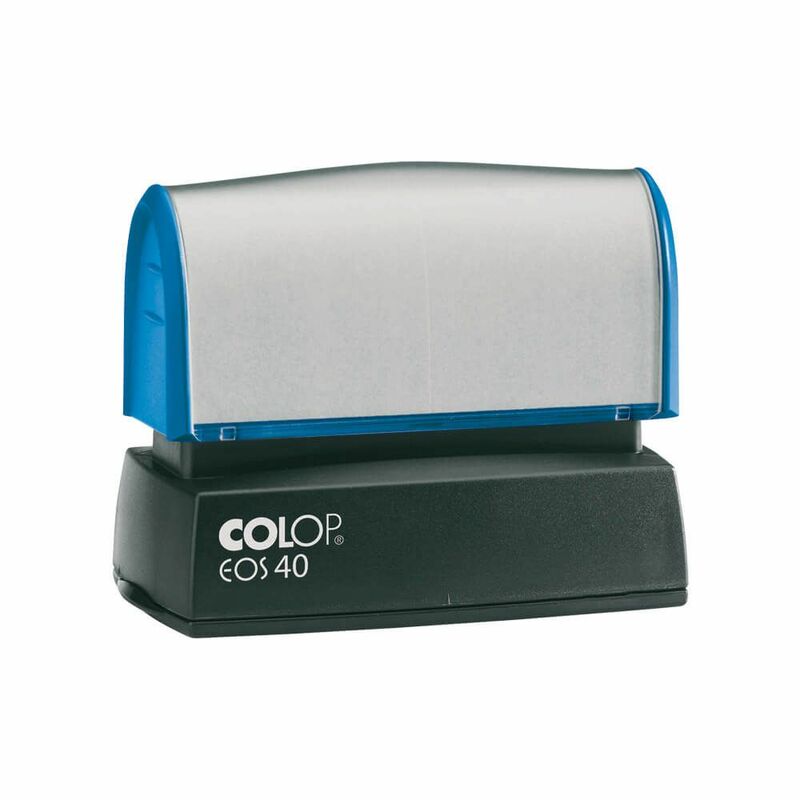 Compared to self inking stamps, Pre ink stamps are lighter, more comfortable and require less effort to use which is ideal for use in an office. Pre inking stamps will make several thousand perfect impressions before starting to fade. Easy to re-ink for thousands more impressions. Ink colours for matt surfaces : Black, Red, Blue, Green, Violet, Orange, Gold.